The demand for smaller apartments continues to be strong in the Greater Stockholm area despite turbulence in the housing market during the fall. According to statistics from Svensk Mäklarstatistik, a real estate consultancy, in total, the number of apartments of up to 45 m2 sold in the Greater Stockholm area in 2017 increased to 10,308 from 10,262 in 2016. The number of two room and kitchen units sold in Greater Stockholm, however, dropped by 1.4 percent to 22,265 during 2017 compared with 2016. 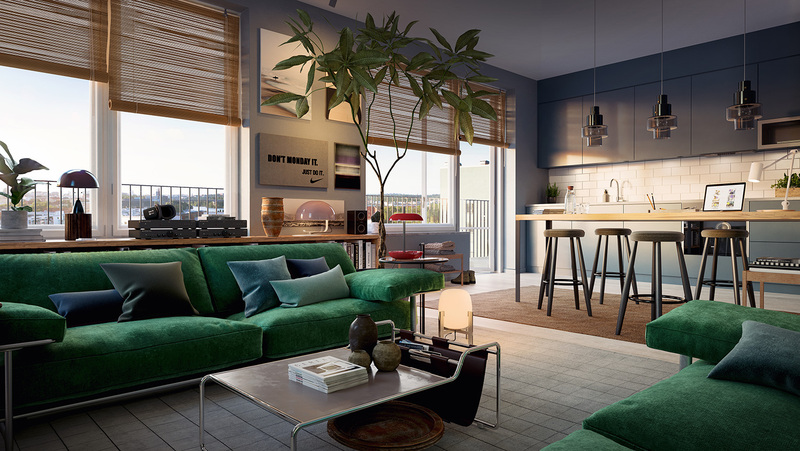 SSM, which leads the market in Greater Stockholm within smart and affordable housing that targets one- and two-person households, is continuing to meet this target group’s genuine need for housing. SSM increased the number of cooperative apartments sold by 10.3 percent from 224 to 247 in 2017 compared with 2016. (Sold = legal binding pre-purchase agreement). – It is gratifying to note that we sold 10.3 percent more homes in 2017. Altogether, we signed about 400 booking or pre-purchase agreements during the year, but naturally the cautious housing market that occurred during the second half of the year, also affected our sales ratio negatively. Since the beginning of 2018, we’ve seen greater interest in our projects where sales have started, although it’s too early to say if this will affect the conversion rate positive in the near future, says Mattias Roos, President & CEO of SSM. During 2017, SSM continued to successfully acquire building rights and at year-end, the company had a focused, high-quality housing portfolio of approximately 6,900 building rights, of which about 40 percent of the rights in the planning phase are also suitable for rental units. The portfolio has been acquired entirely based on the demands of SSM’s target group, which include homes close to the city center and urban rail transit. The company’s long-term goal is to produce 60 percent cooperative apartments, 30 percent rental units and 10 percent student housing.